During the day, all the stars come together to form the sun. During the evening they all break apart and become stars again. After this announcement, all other things became less important. It takes children to put everything in perspective. Now it is time for some of those less important issues. Outsourcing has become the new buzzword to upset us. It is the practice of sending our jobs overseas. It has been primarily occurring in the tech industry. It began with the call centers that were used to call you at dinner time to sell you a cheap tour or vacation trip. This type of job did not take a lot of thought, and was easy to ship to the labor markets overseas. With the proper set up, calling on the phone did not cost much, even if the calling party was in India or Korea. The cost of using labor overseas could save a lot of money. It worked so well, that with the proper training, they could even move the tech support jobs to the same locations. Suddenly, Companies that were using this practice started making higher profits. That is when the trouble began. Outsourcing has become anathema to the talking heads on our news programs. Even Lou Dobbs joined in the fray. We must stop all our Companies from sending our jobs overseas. They are just too greedy to listen to reason, or to hire American workers to do the same job. To some, these Companies cannot even be patriotic. Where was our President when all this was going on? Surely someone will put a stop to this practice! Where have we have been buying our products for the last 10+ years? In stores that buy from the cheapest factory that makes the products that we want. That factory location has sometimes been in China, India, Pakistan, Korea, or any Nation that has cheap labor, or high productivity. We have all been OK with this fact. We had a strong dollar, and could buy cheap products that made us happy. Did we not buy cars that were made overseas? Did we not buy Stereo´s, VCR´s and TV´s that were made overseas? So could someone please tell me what the difference is? Oh, I know what it is. It is the year of a presidential election. I heard once that all common sense goes away during the years that are divisible by 4. Now you know why I feel that my grandson is the one person that makes sense in today´s world. If you thought that you were losing money in our global economy, just wait until the government comes out with the consumer price index. There is currently a delay in the government telling us whether or not we have had inflation for the month of January. Because of this delay, they will also hold up what occurred in February as well. Of course the results will probably remain well under the rate that would get us upset. That is a priority. We do not have inflation as we all know. The reason for the delay is that the government may have to adjust the basket of goods again in order to demonstrate that what we are OK on the inflation front. The reason for this is that the CRB (Commodity Research Bureau) has reported that we have had a 20+ percentage increase in the price of commodities (that they report on) in the last year. It will be interesting to see the basket of goods that will be used in order to present the inflation rate for the current periods. We will then know where to spend our money. It may also be telling us that there is something wrong with our currency. There is another point that I would like to make. Bill Maher has his own television show, and as part of it, he has heard that President Bush does not read the newspaper. Partly for this reason, he reads an article that Bush should read. One of these articles dealt with the air pollution in Alaska. I guess that he would wish that the Presidents duty is to fix this situation. I wanted to ask him how he was able to get to his show that evening. Why are we so worried about pollution when it will be resolving itself within the next generation. If we start running out of oil, than all the concern about global warming should go away. We will have to learn to live with less energy, or even no energy. I wonder what all the people who are so concerned about global warming will be concerned about when we run out of oil? Surely there will be something equally important. I guess it is time to visit CNN and CNBC again in order to determine what the important stories are today. Until next time, keep your eye on the dollar. Its direction could be interesting. WE NOW LIVE IN A GLOBAL ECONOMY. How often have you heard that phrase? It is true. So what is so important about this fact? It is time to look at our pay checks. We in America have just taken a twenty per-cent pay cut in the last year. Our dollar has lost 20 % of its value to foreign currencies. What are we to do? If we want to keep our life style at the same level as last year, then we will have to just take out another loan on our house. Thank goodness that Japan is working hard to keep the dollar from falling even faster that it has. They are buying the dollar in the form of our bonds which is an attempt at keeping the dollar up and as a side affect, keeping our interest rates down. Let us hope that they do not run out of Yen. Foreign banks are keeping their interest rates at a low level, or are in the process of lowering their rates. They want their currency to become weaker in order to strengthen the dollar. They want to keep selling goods to the US. We now have a race to the bottom. Every country wants the American dollar to remain strong, and keep their currency at a low value. In order for us to buy, their currency must remain weak. This helps keep the price of their goods cheaper to the American buyer. The other side affect is that it helps to keep the price of their labor down. They know that we love to buy, and at the same time our Companies will export jobs overseas in order to enhance their bottom line. Even Ross Perot has elected to transfer jobs overseas. One of his major Companies is doing exactly that. I wonder what happened to the giant sucking sound. I guess that Ross felt like it sounded like the sound of money. There is one exception to the above. That is South Africa, and their currency the Rand. The government of South Africa has decided that a strong currency is what they want, and have raised their interest rates. Since they are an exporter, and not a buying nation, this action may do more harm than good. Time will tell. Well now I wish to go on a Rant!! For those long followers of the RWWNL, you know that I was in the Military. I served a year in Vietnam. It took me over 30 years to be able to talk about the fact that I was there, and about my experiences. I truly understand those that still cannot face what they experienced. Now all of that is coming out with the political situation. It makes me want to ask some questions. 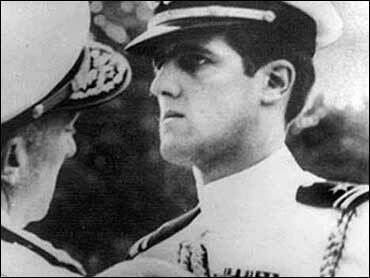 Why is John Kerry now a War hero? I can assure you that he was not a hero when he returned from service. There were no hero’s. Wearing a uniform in this country in 1970 was not the “in” thing to do. I had to wear my uniform in order to have the military pay for my air fare. I can assure you that I would have given anything for some air miles back then. Is John Kerry a War hero because he protested the war when he returned? Maybe politics entered into his thinking when he returned from Vietnam. Even though my family, and everyone that I knew were against the War, protesting was the last thing that I would have done. I think that this is true of a lot of other veterans of this War (conflict). Now to my feelings on George Bush. I was once asked if I had any bad feelings about the men that served in the National Guard, and did not go to Vietnam. My answer then and now, is NO! I absolutely harbored no bad feelings. I did not care if they ever showed up for duty. What occurred over 30 years ago should not be a part of who our next President should be. The Vietnam War was a political event over 30 years ago, and it caused a lot of bad feelings on both sides of the issue. It also affected the ones that served. It certainly does not belong as part of today’s political strategy.